Born Edward Malkowski. He was one of the most notable names in card magic with groundbreaking publications and a staggering amount of new moves and innovations. To underscore his prolific output and creativity another legend of card magic, the Spaniard Arthuro Ascanio coined the phrase: "When in doubt then for Marlo" - meaning if you don't know who invented a certain concept or move the creator was most likely Marlo. Marlo himself coined the term cardician, a term which has since been used for magicians who only perform card magic. His first publication in 1938, Pasteboard Presto , was an unheralded thunderbolt which merely hinted at the bulk of work which was to follow. 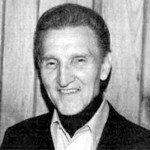 Marlo wrote over sixty books and manuscripts, and contributed over 2000 tricks in the field of card magic many contributed to various magazines. He did not limit himself to cards as he also authored works on coin magic and dice magic. His most famous works are The Cardician and Revolutionary Card Technique . He also wrote a series of private manuscripts that were circulated only among the top card magicians of the era. Titles included Riffle Shuffle Systems , Patented False Shuffle , Faro Controlled Miracles and others. They are extremely rare and highly sought after. Revolutionary Card Technique No. 13. An ebook on an intriguing aspect of card magic. Both mechanical and natural estimation. Original methods for switching a card or cards. Ed Marlo performs and teaches some of his greatest secrets, gleaned from private footage. Here is a deceptive, all purpose false shuffle that every card man will be able to do. Marlo's detailed steps of instruction brings this revolutionary technique into sharp focus and also gives you some very magical effects using it. Students of card magic will find this provocative, controversial treatise an important addition to Riffle Shuffle arcana. Newcomers will be introduced to the skills and workings of front-rank card magic. A wonderful look at the life and times of Ed Marlo, with vintage, rare, underground footage. Called "one of the most important tapes of the Millennium" by Matt Field, this tape lets you get to know the real Ed Marlo. The system of the Marlo Definite Fingertip Control explained in all its ramifications and ideas. 1st edition 1956, 1st digital edition 2013, 24 pages. Over 30 effects and ideas using Faro Shuffle. It contains Marlo's analysis of the Faro Shuffle, the In Shuffle, the Out Shuffle, and other faro techniques. He details a lot about what happens to the deck in the various shuffles, and adds card effects that you can do with these shuffles. 1st edition 1954, 24 pages; PDF 26 pages. Edward Marlo needs no introduction. He was one of the most prolific and influential creators of card magic. This is one of his most ambitious undertakings - a big book that runs the gamut of Marlo card magic. Unusual sleights, miraculous tricks, incomparable routines, material for the student, gems for the expert. Plus an interesting chapter showing how card tricks evolve and giving full credit to all inspirational sources for the entire book. 1st edition 1953, 199 pages; 1st digital edition 2012, 184 pages. The five techniques explained in this treatise are directly or tangentially inspired by Ed Marlo’s An Updated Force (1987). This manuscript explores in detail the possibilities of the 'Double Count'. As the title implies, the possibilities seem unlimited. After reading this PDF you will surely come up with your own variations and takes on the effects presented. The Double Count in its basic form is to show five cards absolutely cleanly as six. One of the five cards is a double facer. 1st edition 1953, 2nd edition 1983, 3rd edition 2002, 48 pages. 2nd edition 2002, 50 pages.